Yay! We have our first official information from the 2014 Epcot Food and Wine Festival! 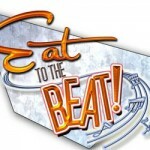 The Eat to the Beat Concert line-up is here…and it’s a great one! Lots of fun returning acts (Boyz II Men, Sister Hazel, Hanson, BBVD, and more); and a few new acts added to the mix! Head over and check out Jo Dee Messina, Fuel, and Los Lonely Boys this year! Here’s the full list. Don’t forget to check out our 2014 Epcot Food and Wine Festival page for all the latest details on the festival! 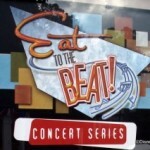 Eat to the Beat concerts are free with Epcot admission throughout the festival. They happen three times per night at the America Gardens Theater in the American pavilion. Check out our Eat to the Beat Concert page for details and times. 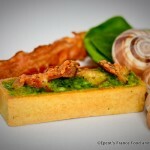 Want More Great Info on the Epcot Food and Wine Festival? 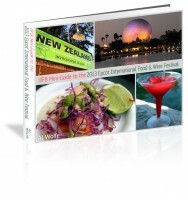 Our best-selling DFB Guide to the Epcot Food & Wine Festival e-Book, 2014 Edition, is now available for Pre-Order! This 250-page guide to the Festival offers insider tips and advice as well as all of the details you need to know to plan your best Festival visit ever. Pre-order your 2014 edition today, and download the 2013 guide for FREE — immediately! Which concert would you LOVE to see? Which band will you see on your vacation? Let us know in the comments below! Eat to the Beat Concerts Announced! I may have to rethink my ADRs to make time for the concerts. Wish I could be there for Jo Dee Messina. They don’t usually have any country music and I really enjoy hers. Several years ago Blake Shelton appeared. I tried and tried to get my daughter to go. Now she regrets not going. Sister Hazel is a favorite of ours, but we won’t be there that week this time. Overall, it’s a great lineup. I also like that there are performances every day, in contrast to F&G festival when performances are weekends only. Ahh, @Ashley, we’ll be there for Jo Dee Messina and I was thinking it’s too bad b/c she’s literally the only one that that list whom we’ve never heard of/have no interest in seeing! My Husband and I have gone to see 38 Special for the last 4 years, it is an awesome show and recommend anyone that is going to check them out. My wife and I are all in for Sister Hazel !! We will be there that weekend!! Every year when this lists comes out and recognize more and more names it just makes me feel old, lol! Wish I kept my original trip dates. If I only knew jo dee mesina would be there. Not liking the rest of the lineup. Mostly has beens. More up and country artists should play. Boyz II Men are excellent…had front row last year for their first performance. I planned my trip to see them. I have seen Los Lonely Boys at another private venue…they opened for Sheryl Crow at a conference and brought down the house. I will be there in October when they are performing….cant wait to see them again. 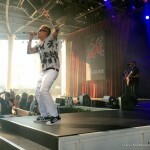 Air Supply was there when we went last year….the ladies’ loved it! Wow, this is the first year we are going to try Christmastime to visit. We love food and wine festival! I am so bummed! Dennis De Young was one of the best concerts we have seen there, There are three shows per night…he is the only one we went to all three, and he played new music at each….great show! Teenage kids also liked it. Love Night Ranger, 38 Special, Dennis DeYoung, just might have to attend all three! Oops, forgot to mention Starship with Mickey Thomas and Rick Springfield. Wow, hard to pick which nights to attend. usually go with a big group, so we need to plan it. How come the Turtles are no longer there. They used to be there every year. Joe – The Turtles are at the Flower and Garden Festival or the Summer Concerts, not the Food and Wine Festival I think.